What happens when 600+ experts — leaders in travel, spa, beauty, fitness, nutrition, technology, medical and architecture worlds — from 40+ nations gather to debate the future of wellness trends? Global Wellness Summit concludes that 2018 will be the watershed backlash year against big tech, revealing the negative effects that 24/7 digital and social media connection has on our brains and happiness. 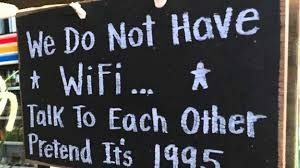 Will we be seeking no Wi-Fi destinations, going off the grid, and setting boundaries on screen time? Review the eight wellness-related 2018 trends here.